As we are a small school, we can be very flexible with the full range of RYA courses we offer. From RYA Start Yachting to RYA Yachtmaster Offshore, and more. Not sure what course to take, or require something not listed below, we can help. This is a 5 day practical course where you can achieve your first major sailing certificate. The RYA Competent Crew course is aimed at beginners to the world of sailing, with little or no experience, who want to become active crew members rather than just passengers. After the course, you will be able to steer a yacht, handle sails, keep a lookout, row a dinghy and assist in the day-to-day routines of sailing a yacht as well as rope handling and general duties. The RYA Day Skipper practical course is aimed at aspiring skippers who have some yachting experience and basic navigation. You’ll learn to skipper short passages, enter and exit ports , emergency skills such as Man Overboard training and how to sail up to and tie up to a mooring buoy. To take this course, you must have completed at least 5 days, 100 miles and 4 night hours on board a sailing yacht, and must be 16 or older. The RYA Coastal Skipper practical course is aimed at yachtsmen and women with considerable knowledge of sailing and navigation who are wanting to undertake coastal passages by day and night. After this course, you will have the confidence to skipper a yacht on a coastal passage by day or night. To take this course, you will have completed at least 15 days, 300 miles, 8 night hours and 2 days as skipper on board a sailing yacht, and must be 17 or older. A radio is an important piece of safety equipment on board and it is vital to understand the correct procedures for using it and communicating with other boats and ground based stations. This course is a requirement for anyone who owns a fixed or handheld marine VHF radio. The Short Range Certificate (SRC) is the minimum qualification required by law to control the operation of VHF and VHF Digital Selective Calling (DSC) equipment on any British flagged vessel voluntarily fitted with a radio. The 1 day First Aid course covers all the usual first aid subjects, all from a boating perspective. Additionally, this course covers: drowning protocol, cold, shock and hypothermia, seasickness, dehydration and helicopter rescue. 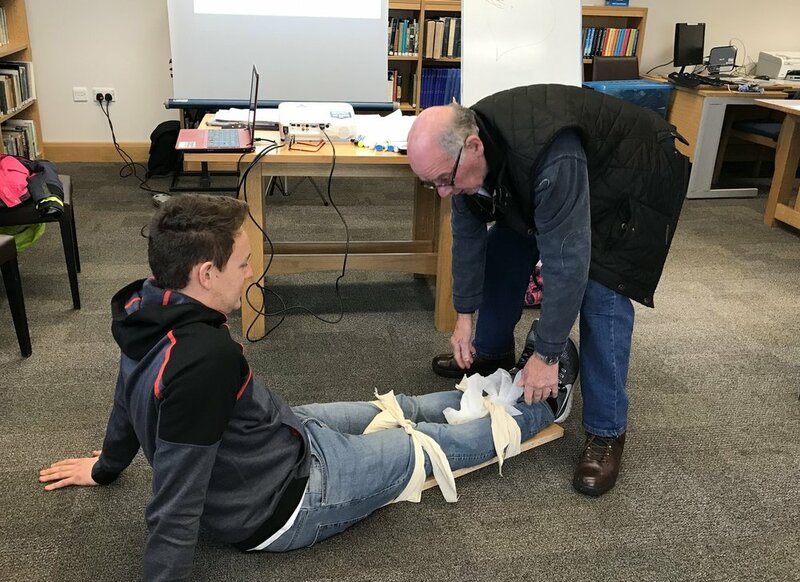 In a medical emergency, a little first aid knowledge and immediate action can save lives, especially in remote locations. We offer two fantastic mile building cruises. - 7 day cruise to France, Belgium and/or Holland. 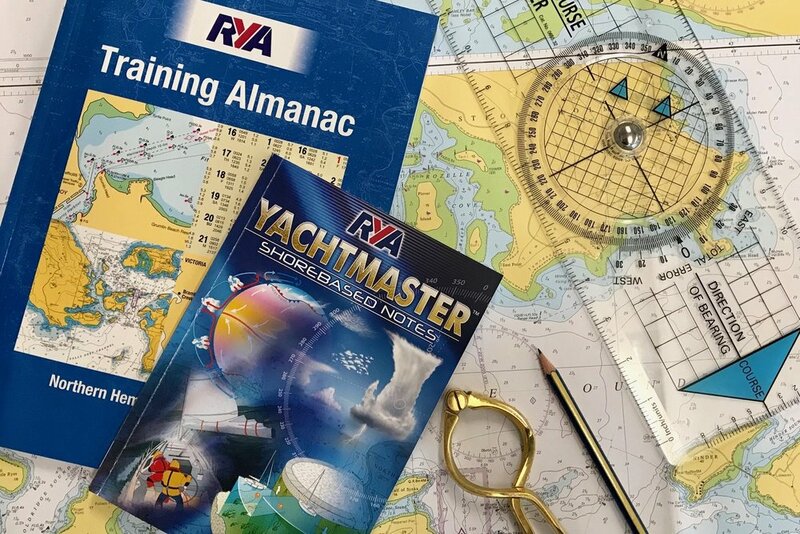 These are not only excellent for those who need to build up miles for their Yachtmaster certificates, but also a great way to get your Day Skipper or Coastal Skipper qualification. The Start Yachting course is a fantastic introduction to sailing for complete beginners. The 2 day Start Yachting course covers all the basics and essential skills needed to go on too, and complete the Competent Crew course in a reduced time of 3 days instead of the usual 5. Although not a requirement for the Competent Crew course, it does offer a great opportunity to get on the water and see what it's like before making the leap to a full 5 day course. You won't see this course listed in our course schedule, but it is offered during the first 2 days of any 5 day course. This course is taught over 40 hours with two exam papers. This course is aimed at sailors who have completed the Day Skipper course and wish to take their sailing skills to the next level by focusing on advanced navigation and meteorology. In addition to the above RYA Courses, we also offer a range of flexible solutions to meet your needs. Family sails, lasting a day or a whole week with an instructor as skipper. Two day brush up sails. Two day ICC Training Course and Exam. Own Boat Tuition where an RYA Instructor assists you on your own boat. Just wanted to say how much we enjoyed our introduction to sailing course last week - you were amazingly calm the entire time - even when that boat was heading towards us and we were packing the sail away as Cecily steered! We are all really looking forward to our holiday even more now and will send you a photo of us all - in Shearwater t-shirts of course! Hope you are surviving in this wet weather! We are v bored and would rather be sailing! Keep up today with all of our courses and specials by signing up to our regular newsletter.